Owner Jorge L Espinoza (George) was raised in an impoverished section of Ecuador in the 70’s, George’s father supported the family of 9 on a meager paycheck from the train maintenance business, he retired after 30 years. George’s family of 9 brothers and sisters have all become extremely successful, they each refer to their father as the main reason. He started working on autobody projects at the age of 12 as a helper, sanding and prepping cars for paint, and learning the art. It was at that time that George knew he wanted to become an autobody artist. George and his siblings had to overcome very difficult circumstances in order to become part of the working class American culture. His brothers and sisters have careers such as Fire Fighter, News Reporter, Organic Farmer, Fashion Designer, to name a few. George moved to America in 1993, to pursue a career in the automotive industries. He started in a warehouse that printed newspapers, mixing colors and ink for the periodicals. After 4 years George was running and repairing the machines, mixing colors and printing around 25,000 feet of newspaper. In 1998 George was working part time at various autobody shops. He had worked with mechanics, repairing automobiles, and eventually would find his way to working on autobody and mixing colors. George went to a vocational school in RI in 2000 for auto body paint and received a certificate of completion. He went on to work to work at multiple collision and autobody shops. In 2004, George started working at Pro Collision as a an paint and autobody technician for 2 years, before going to school at Northeastern in 2005 to advance his knowledge in the field of automotive repair by undertaking a course in professional automotive appraisal. The course covers the specific MA regulations and guidelines for insurance and autobody practices. George’s dream has always been to start his own autobody business, and began by opening and incorporating “Georges Auto Refinishing” in 2009 in Everett. Georges passion for the art of painting and repairing automobiles has allowed him to apply his knowledge to his customer’s vehicles. In relatively short times, he has built and finished his own projects – including his 1975 Corvette Stingray, a 2009 custom chopper, and more – starting completely from scratch. The techniques and practices needed to build these types of projects from the ground up require a great deal of talent, skill, and dedication. All of which is evident in George’s entire staff. George is into the art of motorcycle re-conditioning. 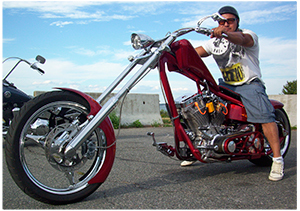 He is capable of creating unique designs for chopper and motorcycle body work. He is also an artist, George still continues to work on unique projects and has even designed his own house, backyard, landscaping in both Saugus and Ecuador. 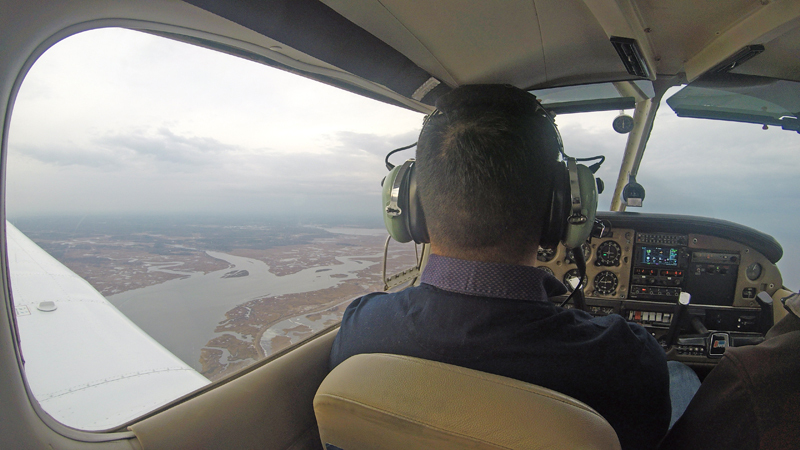 His latest venture has been obtaining his private pilot's license.